"Sometimes I think about how different things would be if that wave hadn't just struck in the middle of the night…" Wow. The first trailer has debuted for a film called The Vessel, executive produced by Terrence Malick, from filmmaker Julio Quintana. 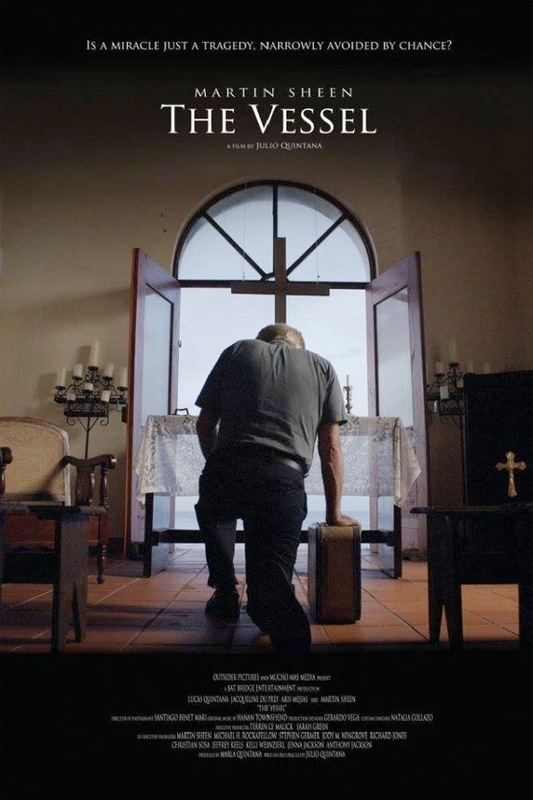 Starring Martin Sheen, the film is about a Catholic priest in a Latin American town destroyed by a tsunami ten years ago. This trailer is filled with some stunning imagery reminiscent of Malick's work and a tiny bit of the score by Hanan Townshend, the talented composer from Malick's Knight of Cups and To the Wonder. Where did this film come from?! It looks amazing! Also starring Lucas Quintana, Jacqueline Duprey, and Aris Mejias. Don't hesitate, just dive right into this. Ten years after a tsunami destroyed a small-town elementary school with all the children inside, a young man builds a mysterious structure out of the school's remains, setting the town aflame with passions long forgotten. The Vessel is both written and directed by up-and-coming filmmaker Julio Quintana, making his feature directorial debut after directing two short films previously. It's executive produced by Terrence Malick & Sarah Green. See more info about Quintana on his official website. The film has yet to premiere at any film festivals. The Vessel is set to open in theaters starting September 16th this fall. Looks amazing? People hate Malick? I didnt know that, his films looks amazing to me.